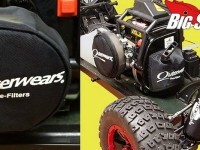 outerwears « Big Squid RC – RC Car and Truck News, Reviews, Videos, and More! You are browsing the "outerwears" tag archive. New from Outerwears are the Losi 5ive T Shockwears. 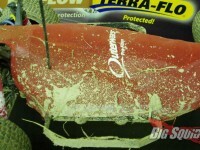 Shockwears are a great way to keep the dirt and grime off the rods and springs. Those 1/5th scales shocks are big, and we all know bashers hate to clean stuff. Head on over to the Outerwears web site or ask for them at local hobby shop.